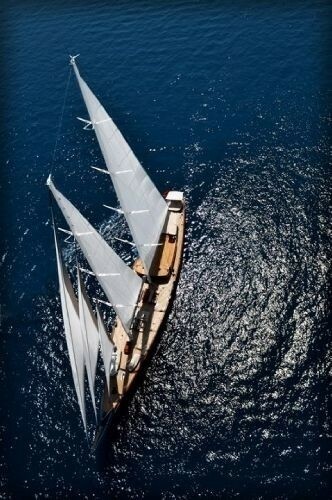 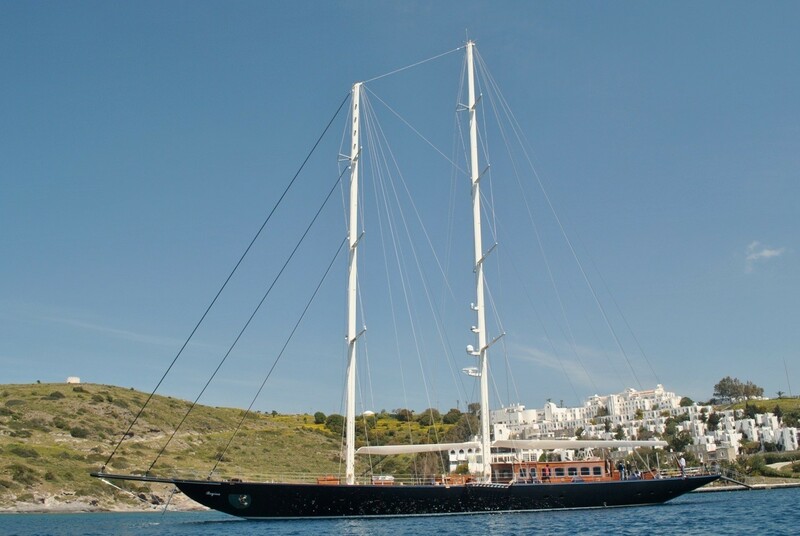 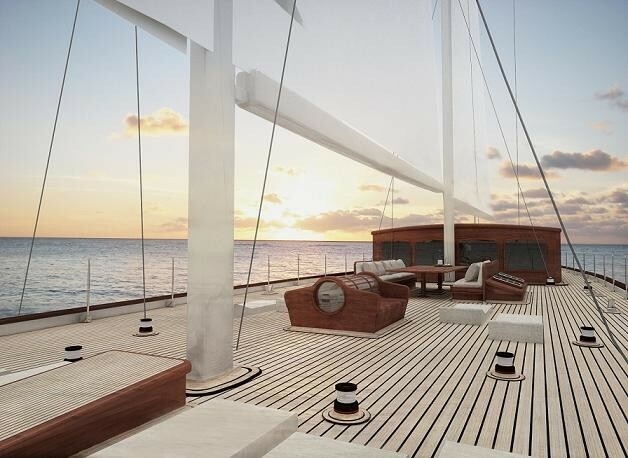 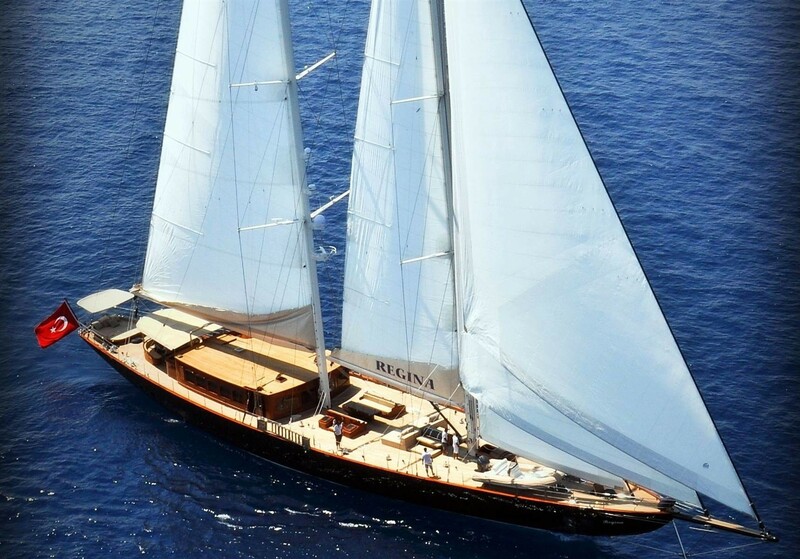 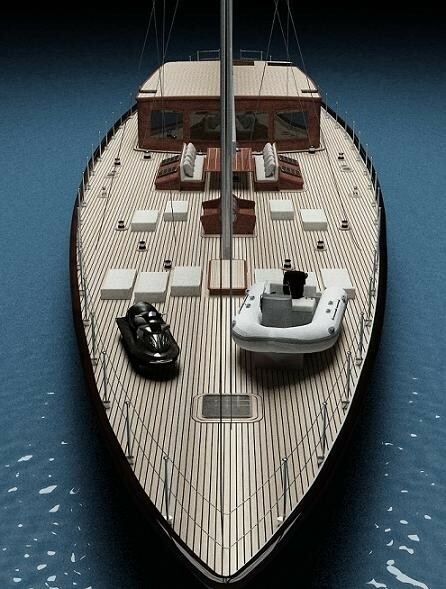 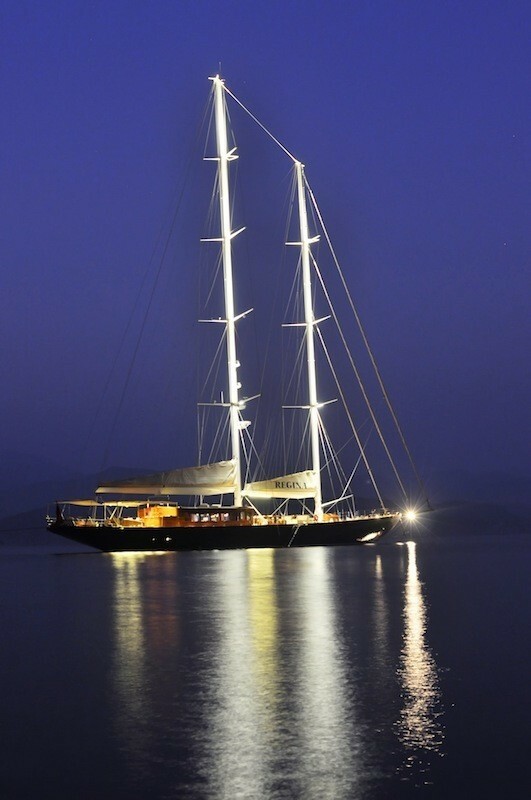 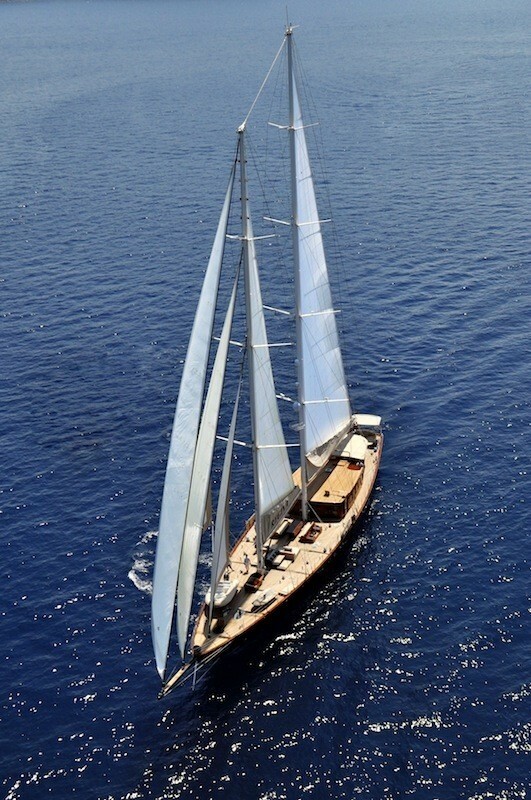 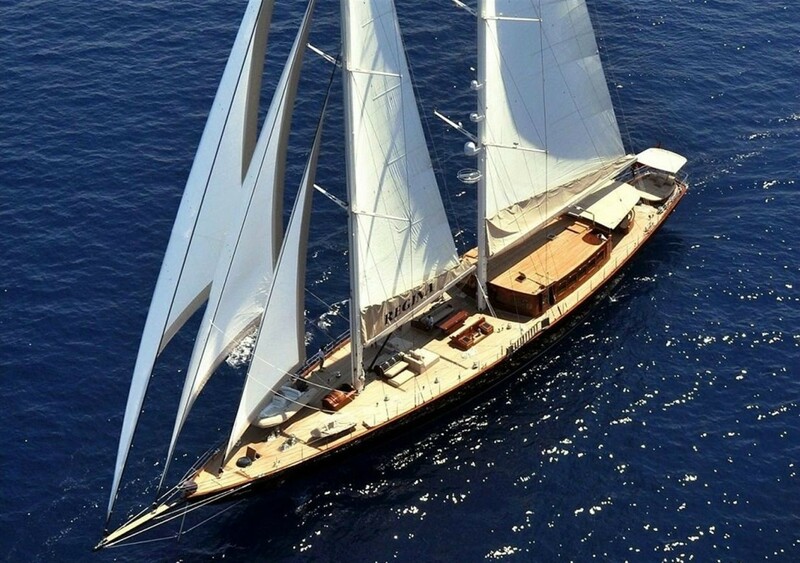 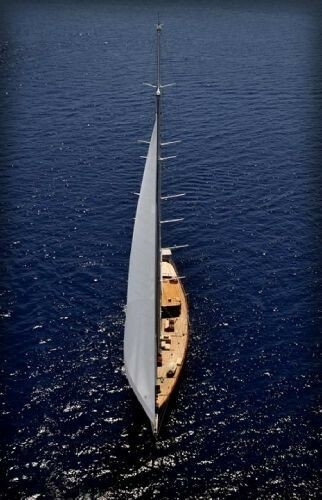 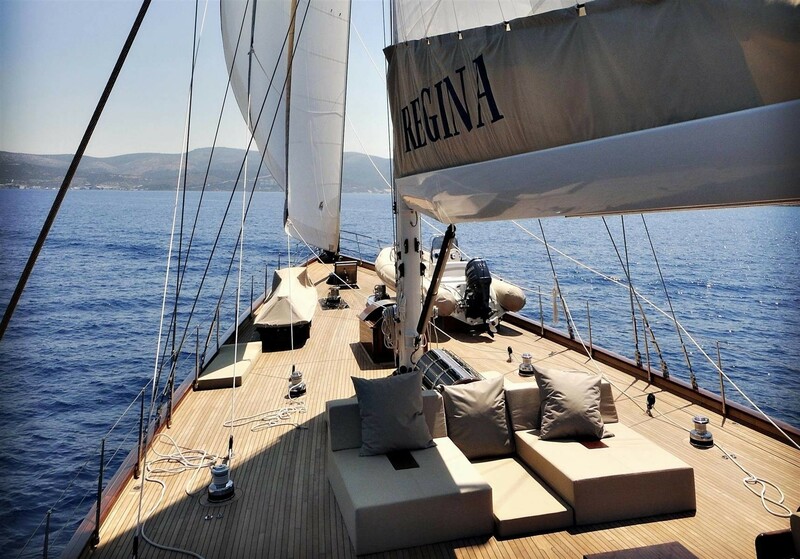 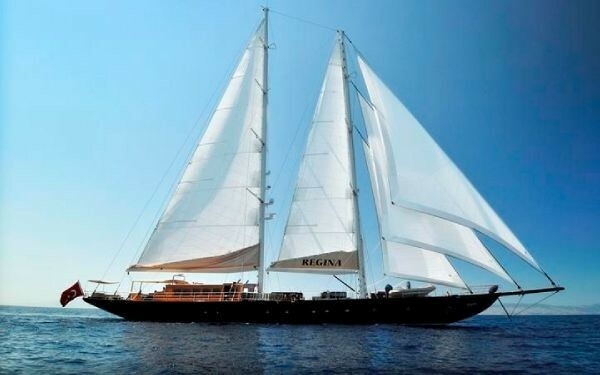 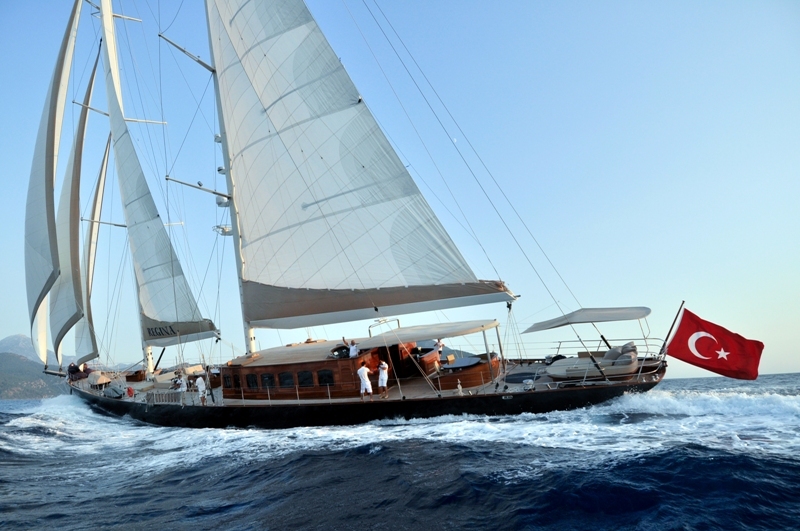 Sailing yacht ARIA I (ex REGINA) is 49,70 m long in length over the deck and 56 meters in length overall. 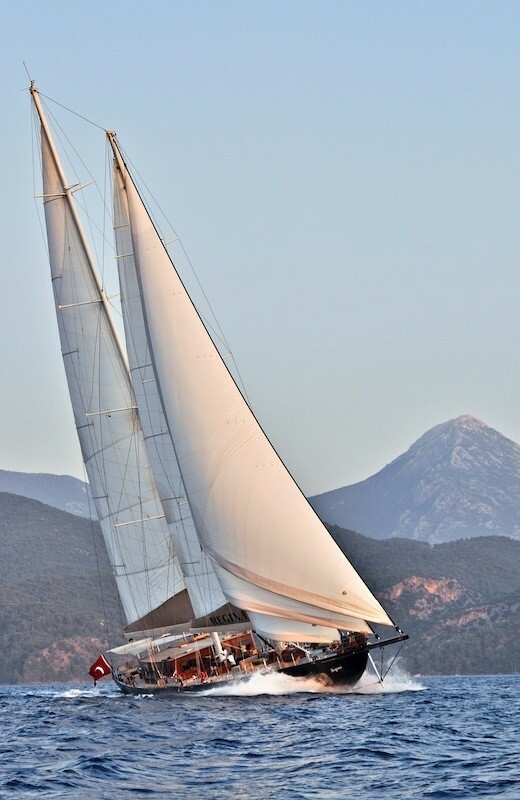 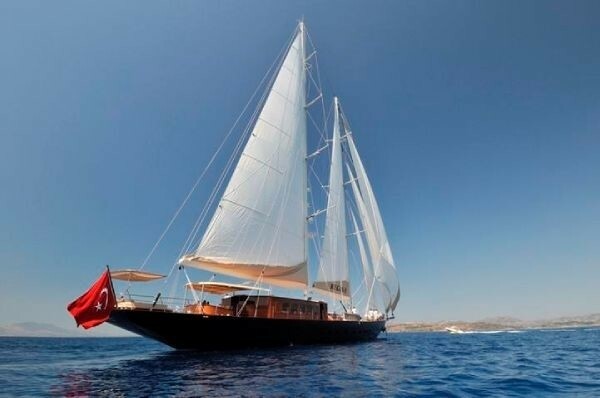 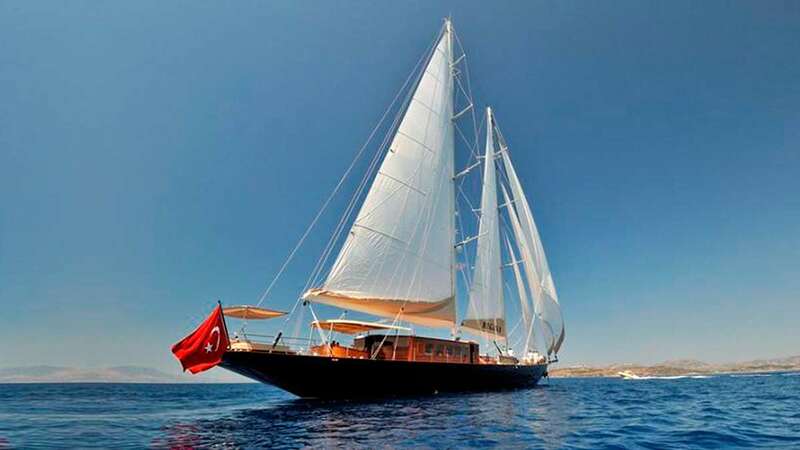 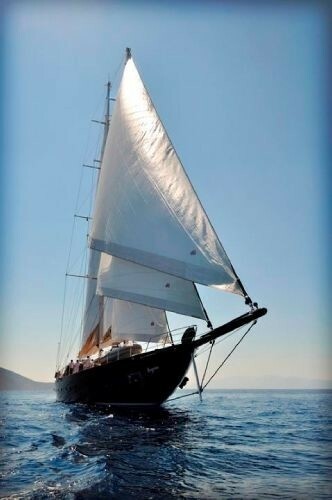 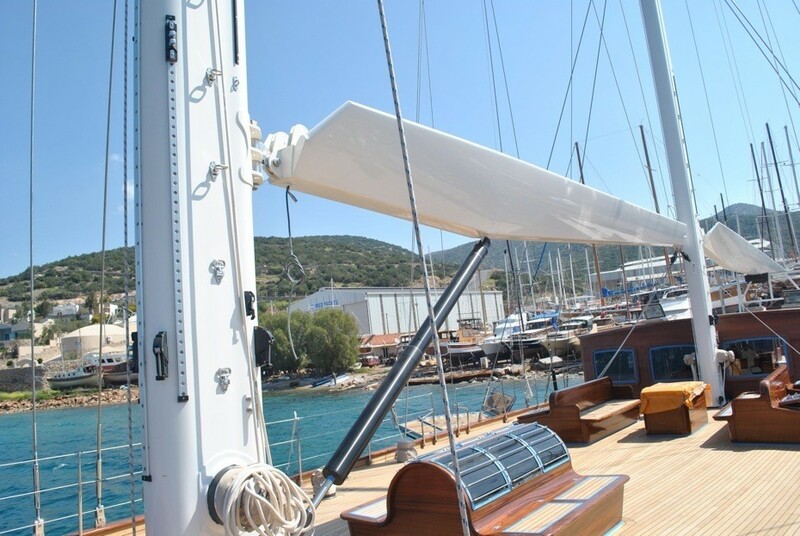 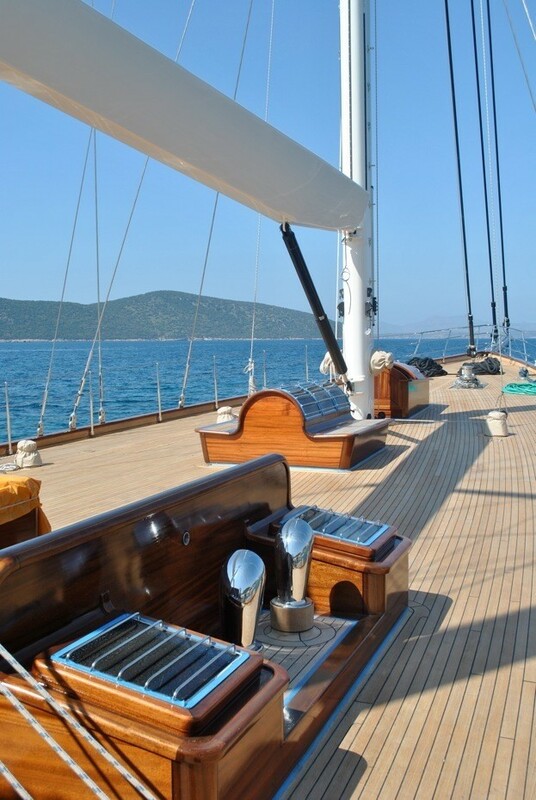 This beautiful classic schooner is available for luxury sailing yacht charters in Turkey and Greece where she is able to accommodate 12 yacht charter guests in her spacious and luxurious interior. 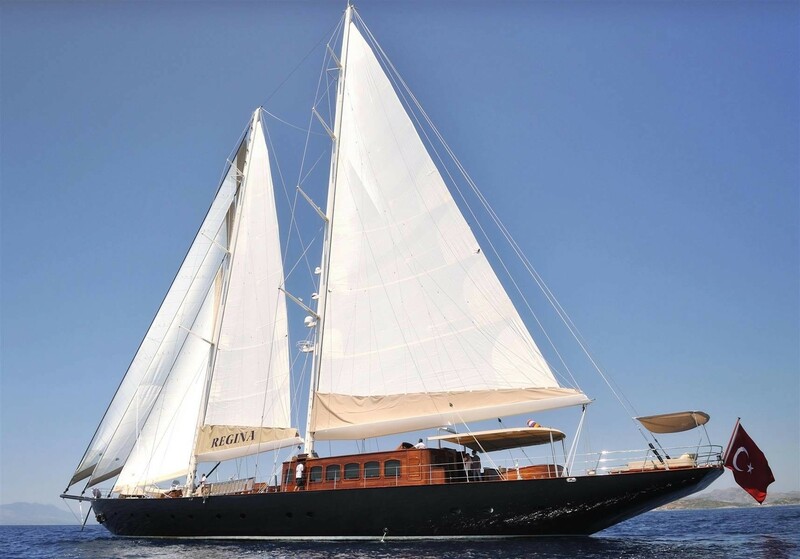 She was launched in 2011 and refitted in 2016, providing exceptional service thanks to her professional and skilled crew of six. 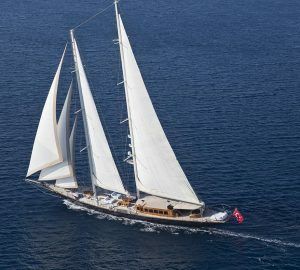 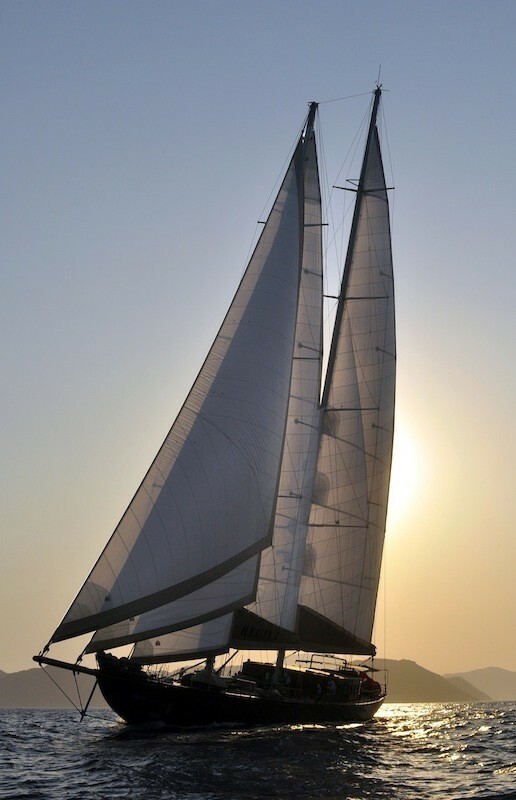 Charter yacht AIR I has the lines and all features of a classic sailing yacht, however, she is also designed both for luxurious chartering and as an ocean-going vessel with two aluminium alloy masts and a strong standing rigging calculated by Christopher John Mitchell, AES Ltd. 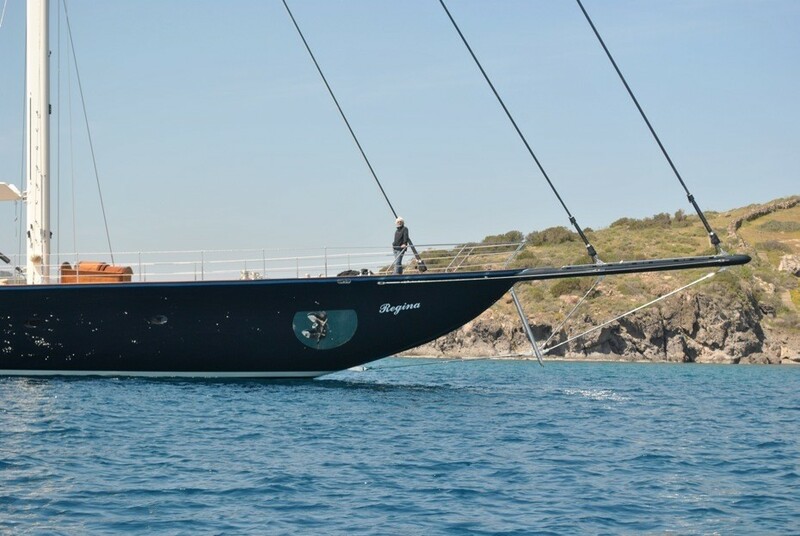 The steel hull is built both on vertical and longitudinal frames to ensure stiffness of the yacht under strong sea conditions. 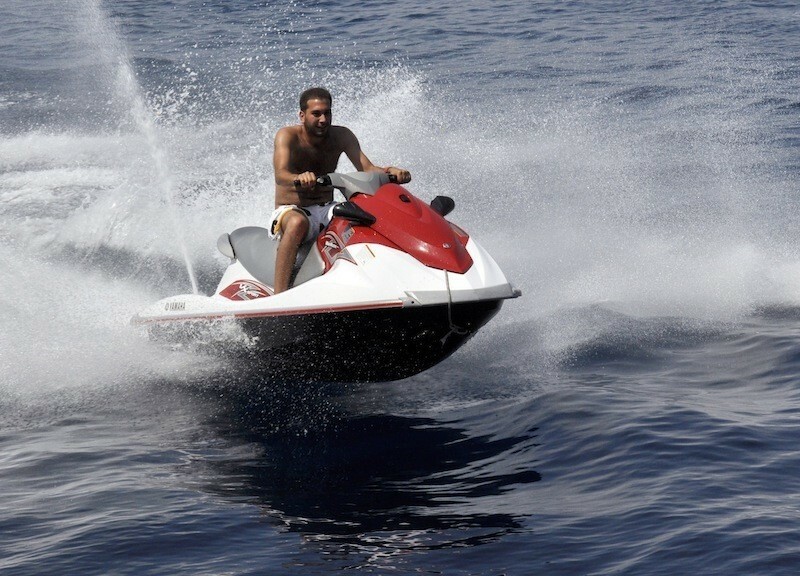 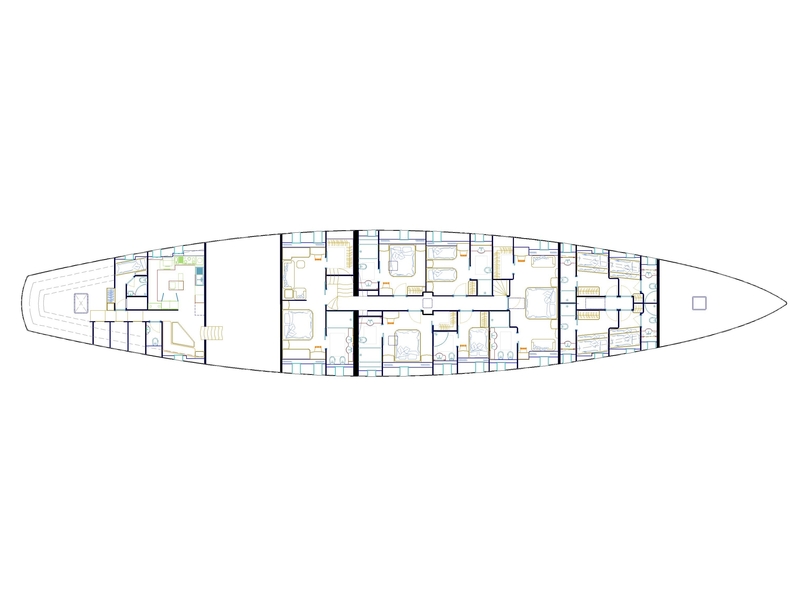 The yacht AIR I was built by Pruva Yachting & Shipyard, delivered in February 2011. 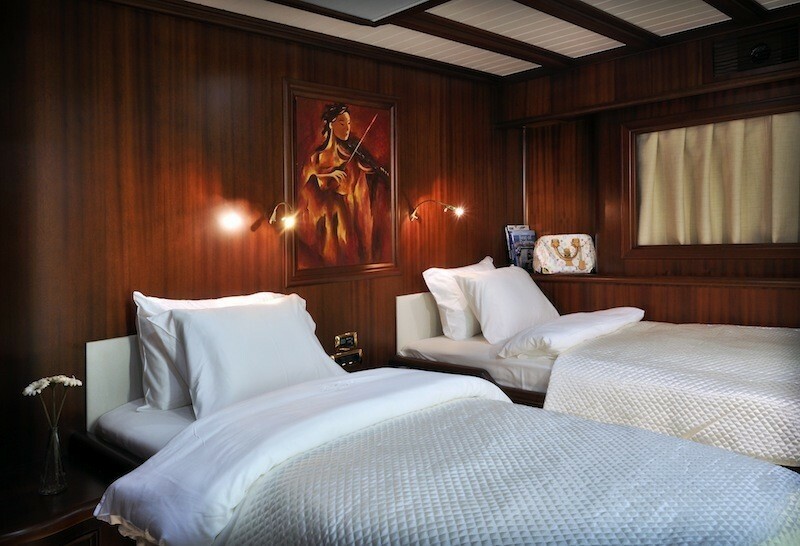 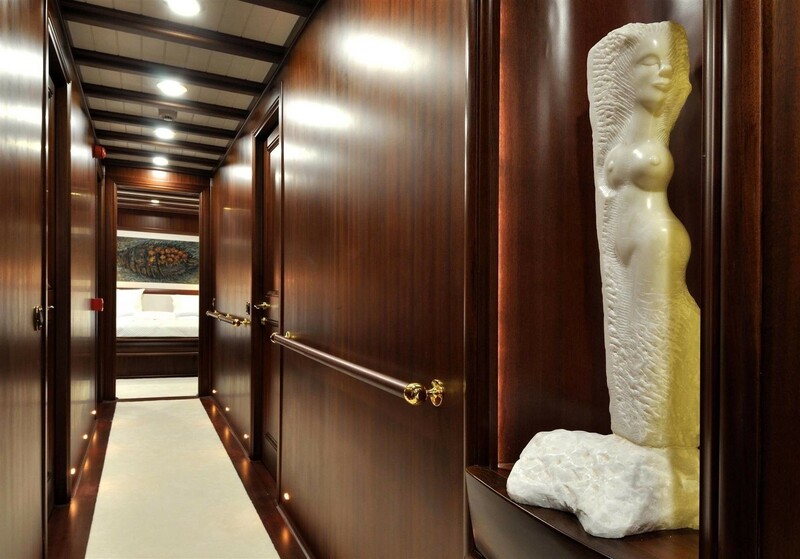 The interior styling of sail yacht AIR I has classical features executed in clear mahogany wood and white lacquered surfaces. 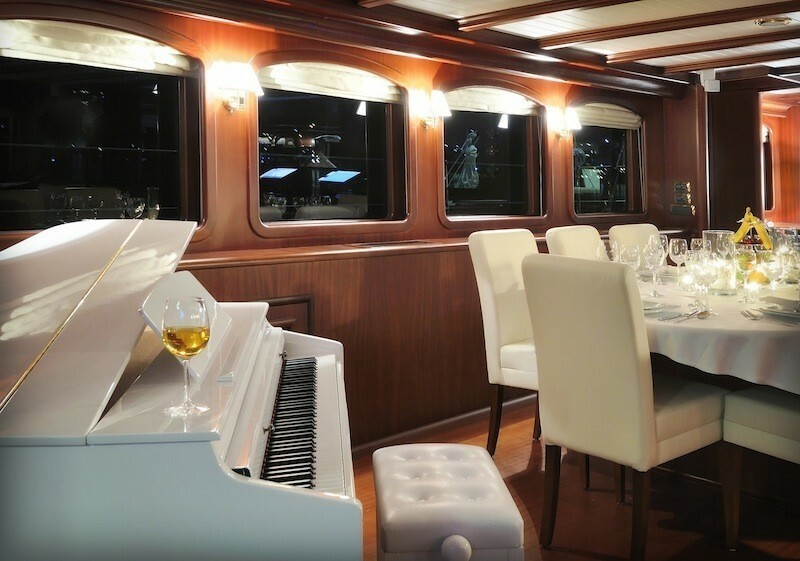 The huge saloon features a lounging area, across from the TV, a large circular dining table as well as a baby grand piano. 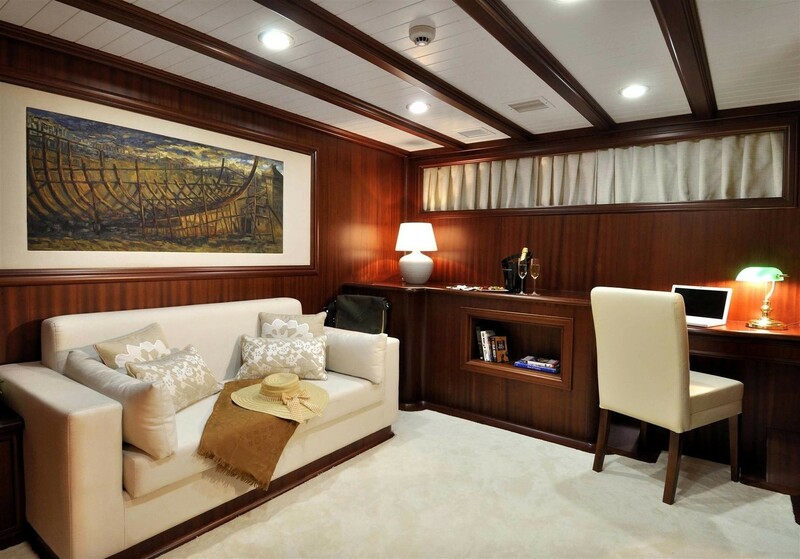 This area also features huge windows flooding the room with natural light is finished with neutral soft tones. 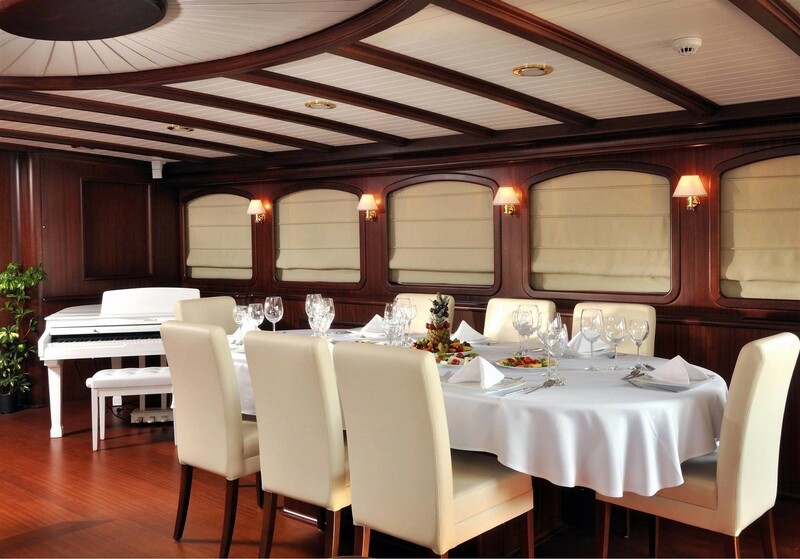 A large galley has all the necessary equipment to cook international dishes by the yacht's private onboard professional Chef. 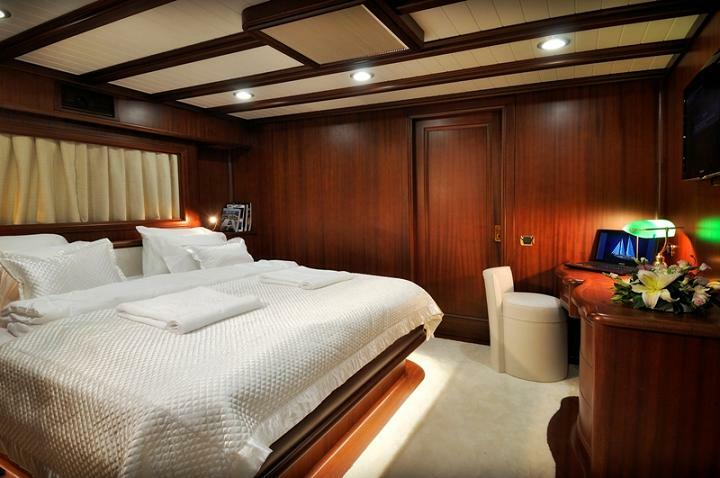 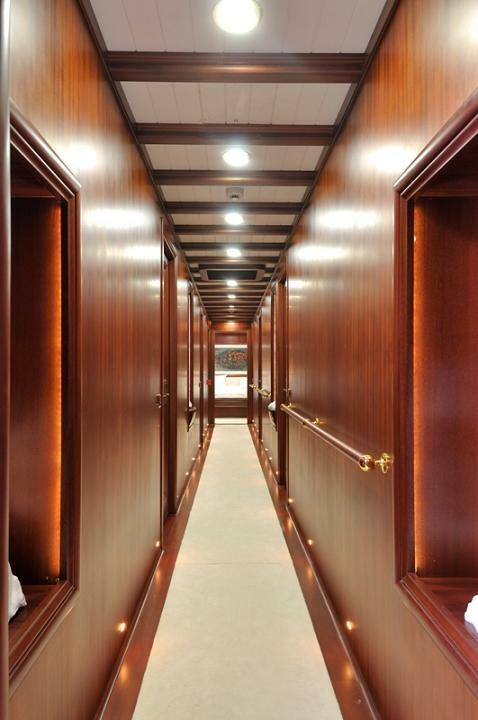 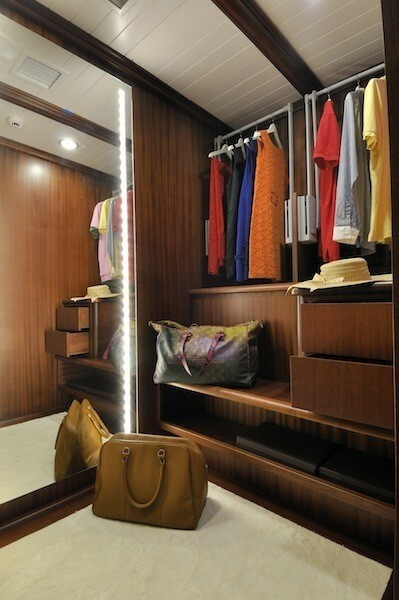 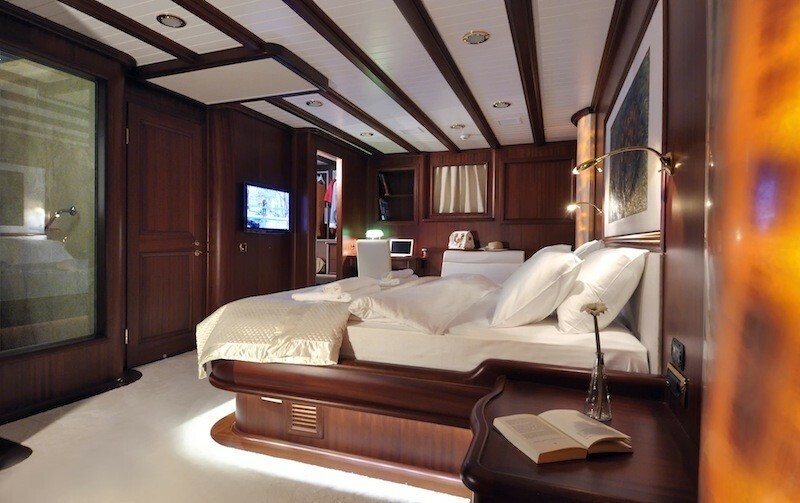 She also has 5 crew cabins with a crew mess for up to eight people. 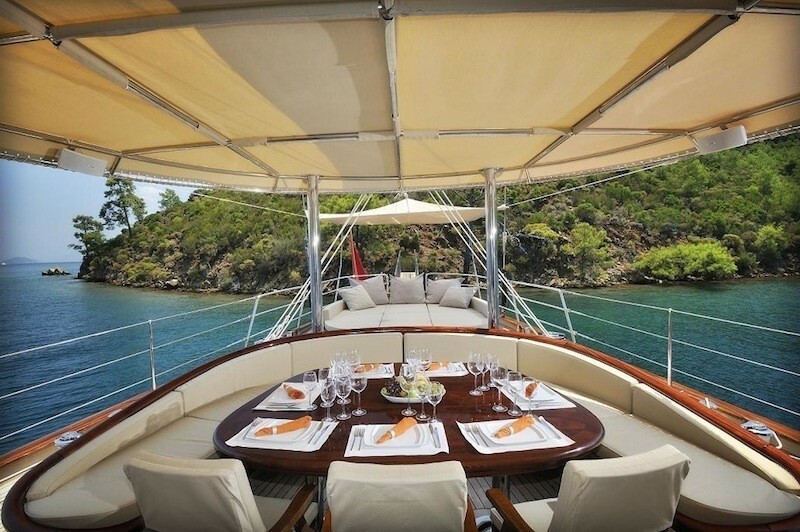 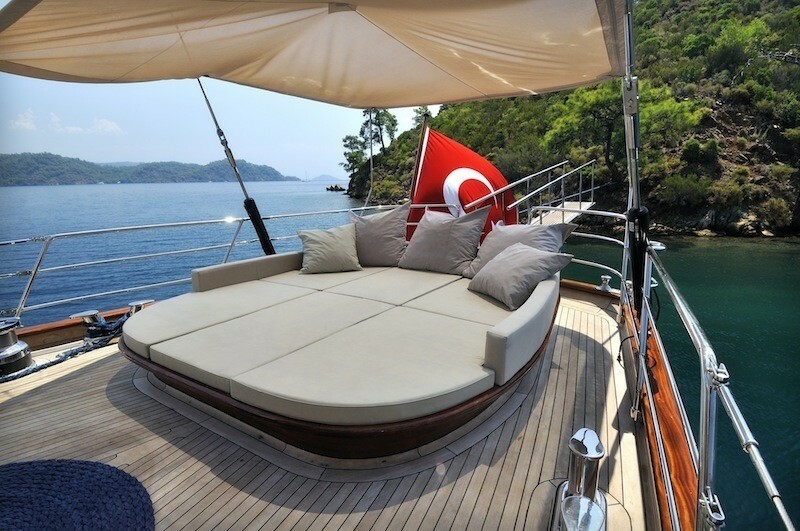 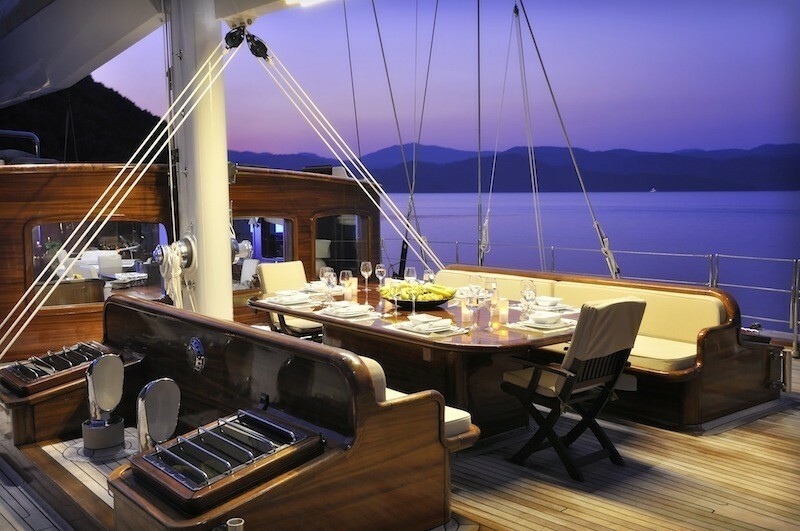 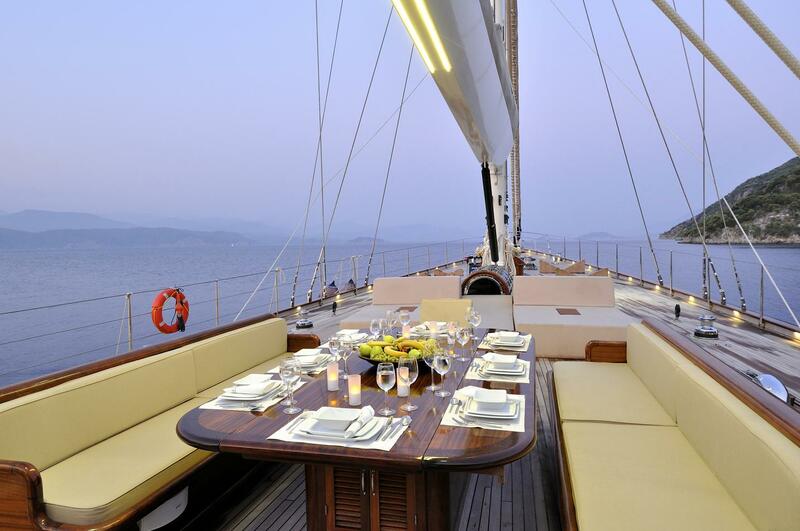 Sailing yacht ARIA I boasts fantastic wide open deck spaces for dining, sunning and entertaining. 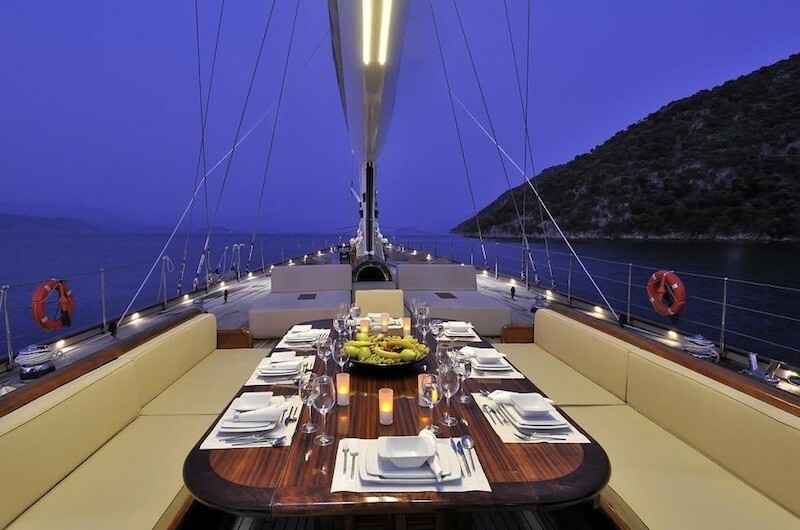 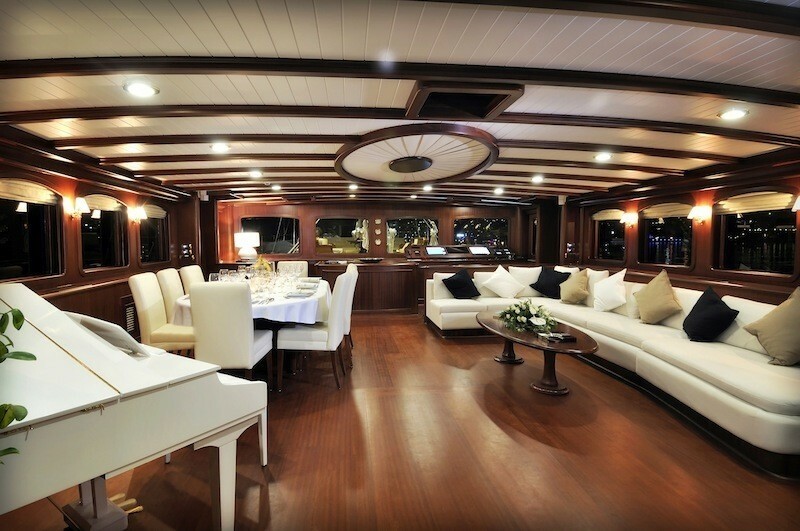 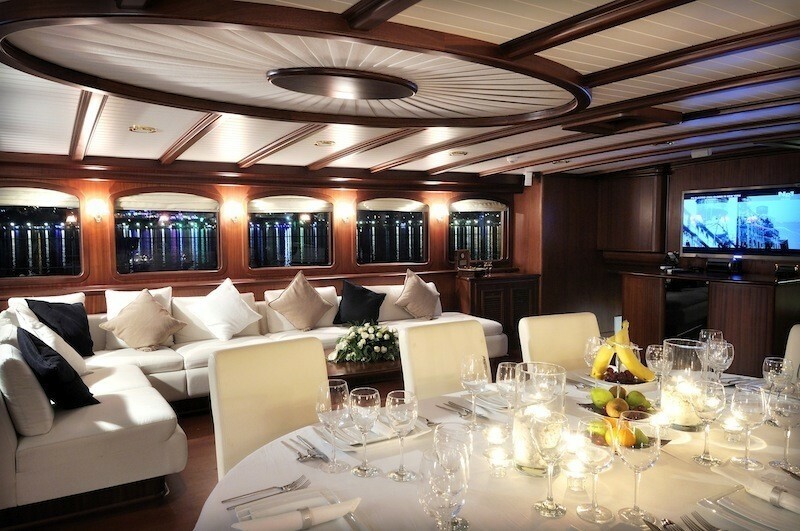 There are two large dining tables on the deck, one forward and one aft, both able to seat 12 guests. 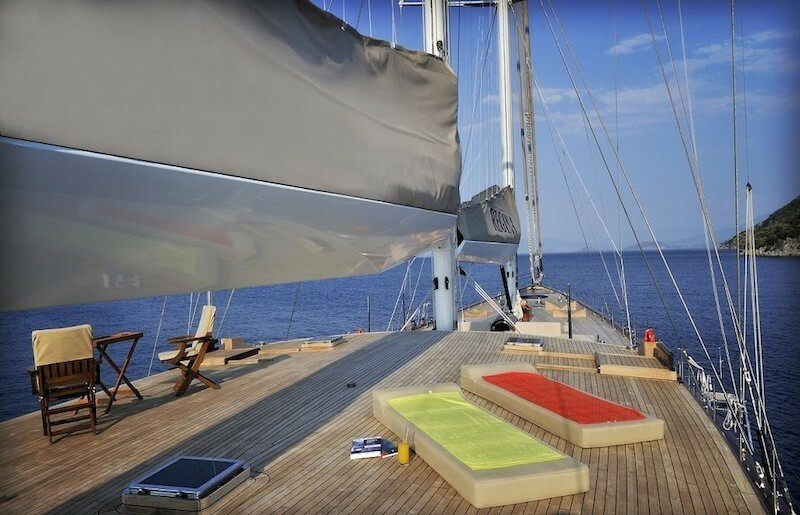 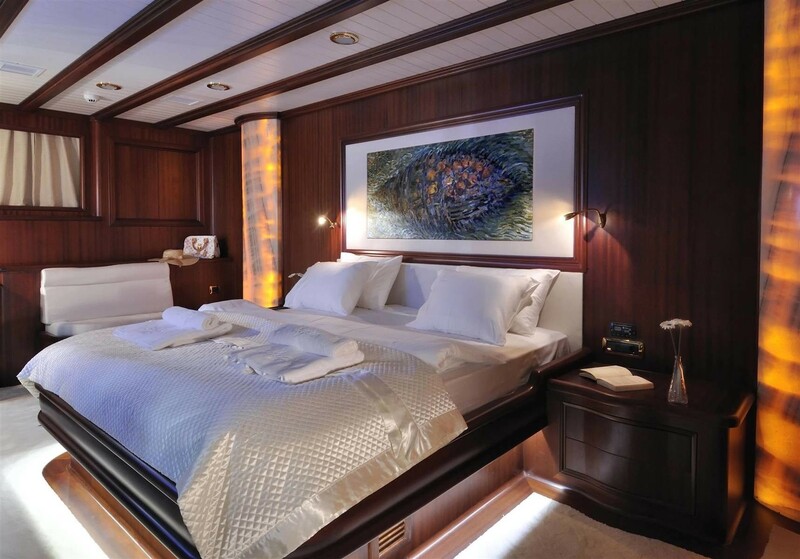 The uncluttered decks are great to walk on and there is a large sun pad on the aft deck as well as various individual sun pads forward. 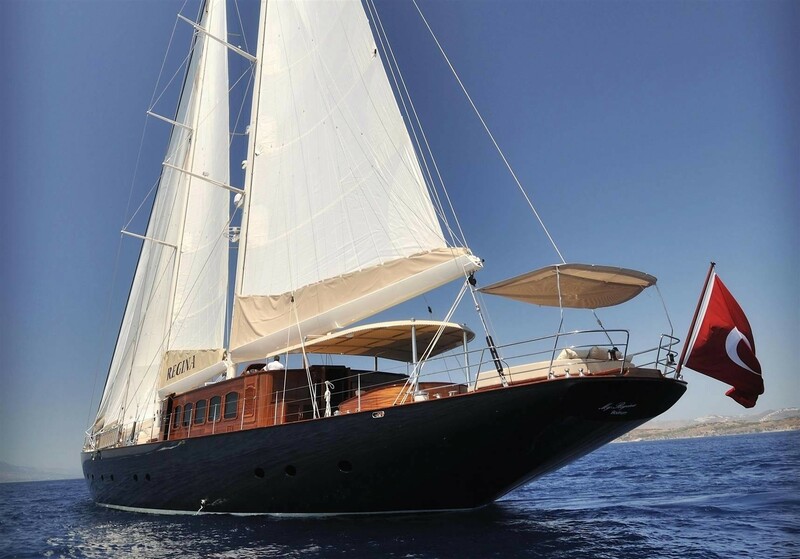 Luxury sailing yacht AIR I can accommodate 12 guests in 6 cabins including 2 master cabins with separate dressing rooms, fitted with Satellite TV, DVD and music system. 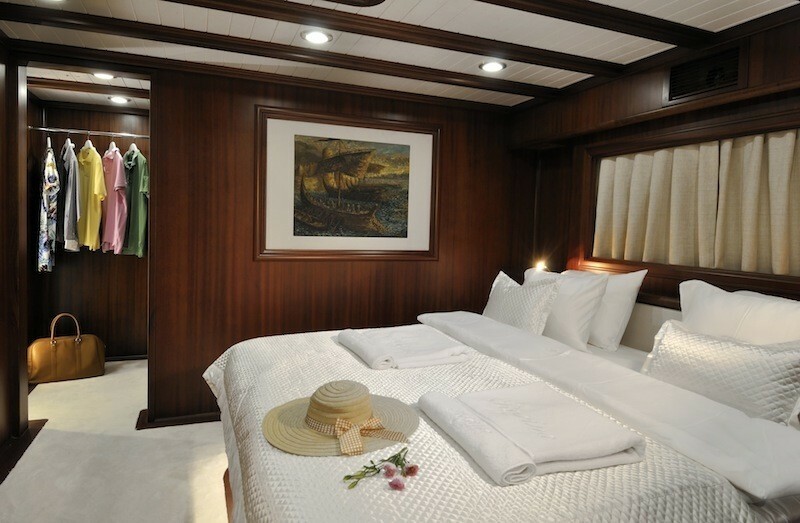 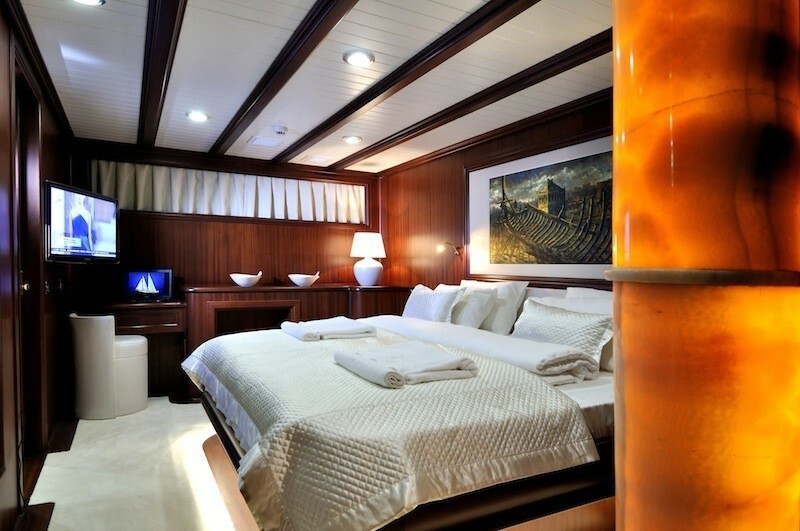 The remaining cabins are also very spacious and comfortable and include 3 double and 1 twin cabin. 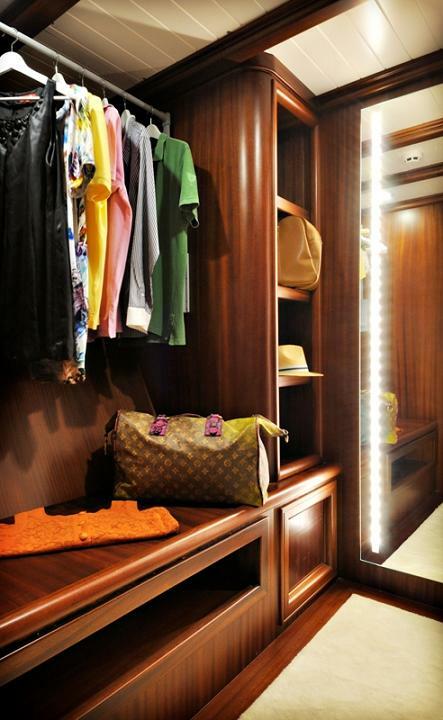 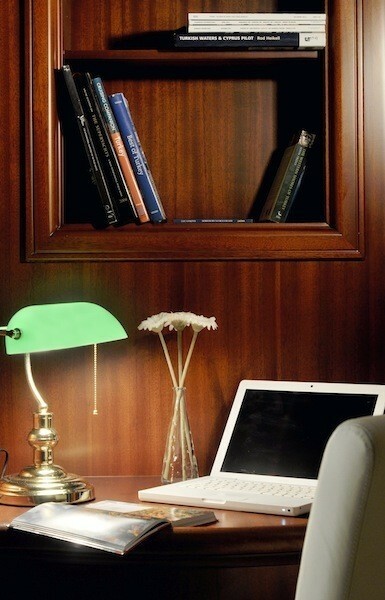 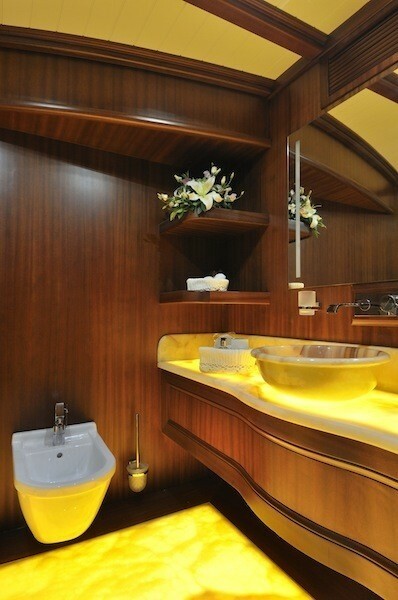 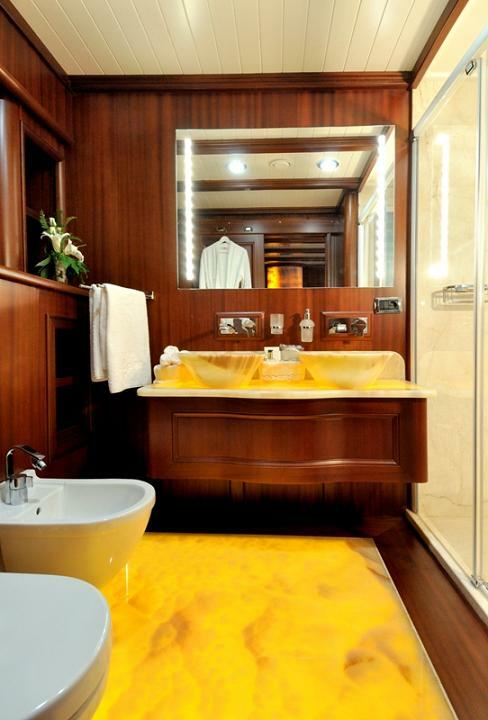 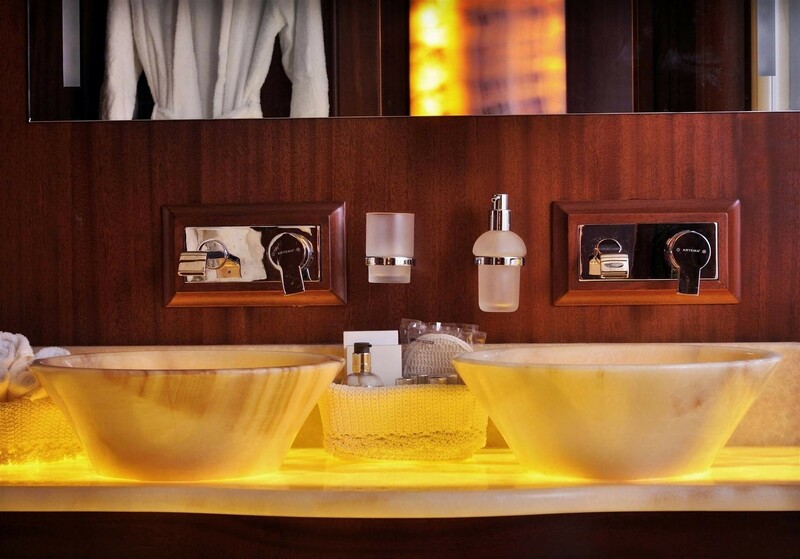 Every detail has been considered for guests' utmost comfort.